Those who know me are aware I'm no expert in the kitchen. 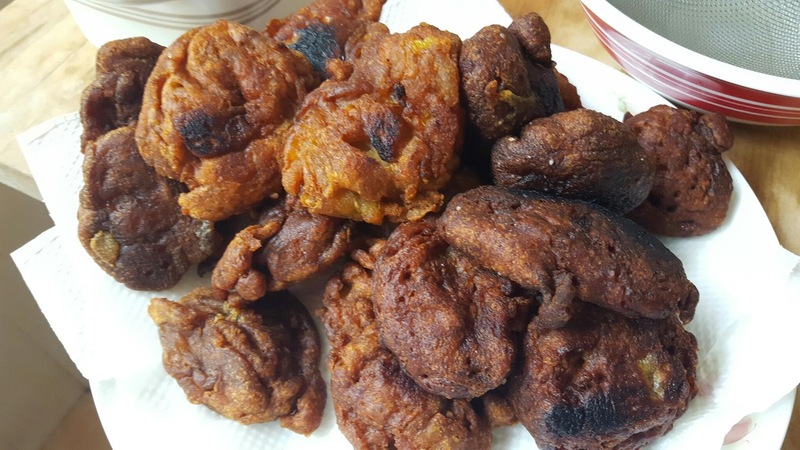 Some dishes are good to go and edible to say the least and some are total failures. Recently Hubs went on an impulse purchase and bought lots of bananas. I mean lots...Why? Keep in mind it's just the two of us. Obviously it went way ripe before we could even finish the first bunch. Friends gave suggestions on what to do with the remaining bananas and all. 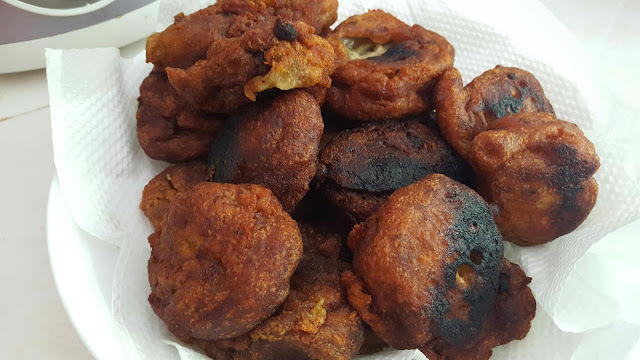 Out of all the solutions, I picked Cekodok Pisang. I've never made them and sounded quite simple to make. The remaining bananas. Pretty and ripe. Ready for my attempt to make cekodok. Banyak giler pisang kena potong. Penat lenyek! 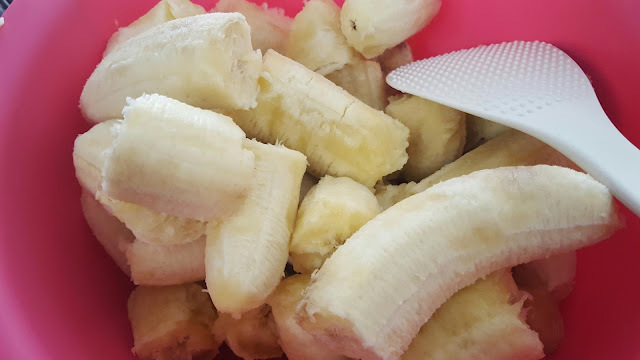 With the amount of bananas mixed with flour, sodium bicarbonate, sugar, salt and a dash of baking powder and me trying to get the right consistency, it took half a day to mix them. Serious penat mix. My legs were wobbly by the time the batches went into the wok. My first attempt was too watery. 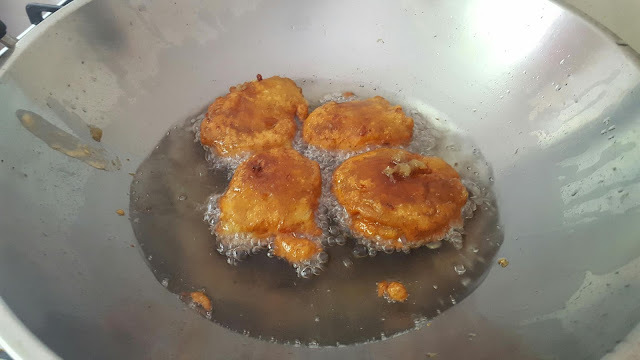 Though it smelled and tasted right, they were floating and reminded me of SHHH...hmmm...so added more flour bla bla bla to get the right consistency. The second batch looked better. But huge as F***. Hahah...pardon my language, sorry not sorry. These were just half of the mix. Damn banyak. Gave my neighbour loads to feast on. One fell, sounded like a whoopee cushion. Heavy and made a "floop" sound. I was lucky it didn't turn out like one of those brick like cekodoks. These I kept for the both of us. I told hubs the next time he decides to go on an impulse purchase, I'll be at Chanel going on impulse purchases with his credit card. He came back from work and I forced him to give me foot massages. Penat weiii...no joke. He had a taste of the cekodoks. His comment? "Tak rasa cekodok. More like kek pisang. 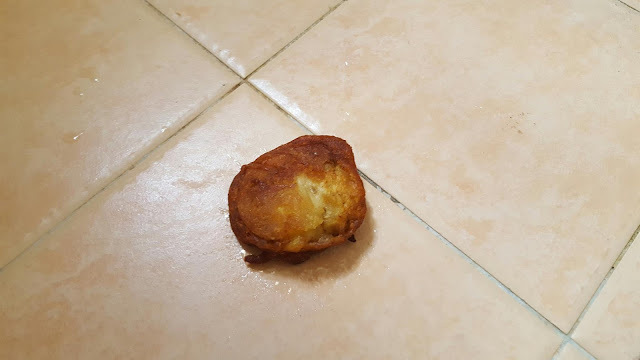 Next time kalau I nak cekodok, I beli kek pisang ar." He was lucky I was kind enough to not give his face a taste of the whoopie cekodok.